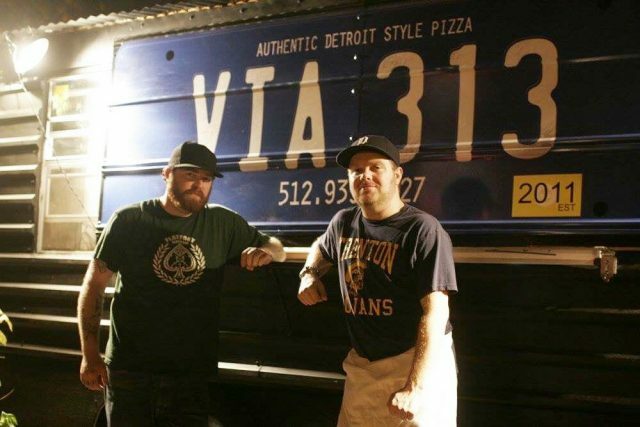 Austin was first given a taste of Via 313 heaven in 2011, when the original trailer opened on East Sixth Street at Waller. The owners, brothers Brandon and Zane Hunt from Detroit, wanted to give a slice of their hometown to Austin through a different pizza experience. And boy, did they accomplish their mission! These mouth-watering pizzas are layered with all types of goodness, complete with a caramelized cheese crust and sauce on top. Via 313 offers all of the classics to meet any foodie’s needs, from basic cheese, to the carnivore, to the herbivore. But you’ll also find a wider range of pizzas that will have you asking for seconds. My favorite is the Detroiter, with pepperoni both under and over the cheese. All of these pizzas are square-shaped. This is because they’re baked in metal trays, like the ones used on the automotive assembly lines at the Big Three. 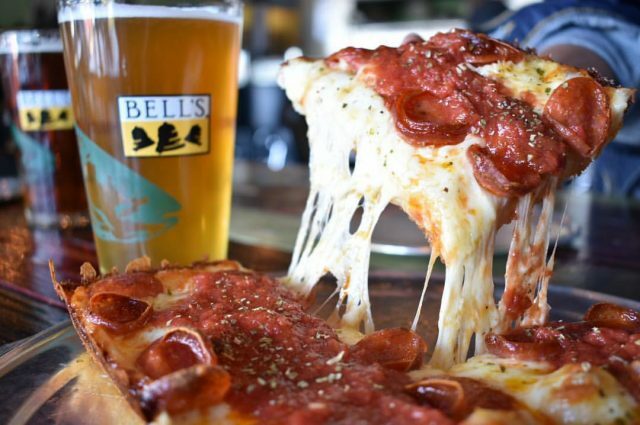 Via 313 now serves bar-style pizza, with thin crusts that share the same cheesy edge as the Detroit-style. However, you can only try bar-style at the eatery’s brick and mortar locations. The restaurant also has a food and drink special every month that benefits a charity. As of this writing, Via 313 has donated to AIDS Services of Austin as well as Austin Pets Alive! Additionally, the team has started carrying ranch dressing (a much needed side when I’m chowing down on pizza), and 100 percent of proceeds from each side of ranch goes to the charity of the month. For those of you who’ve had a hard time keeping up with Via 313’s rapid expansion, here’s a rundown of the current five locations. How many of them have you been to? 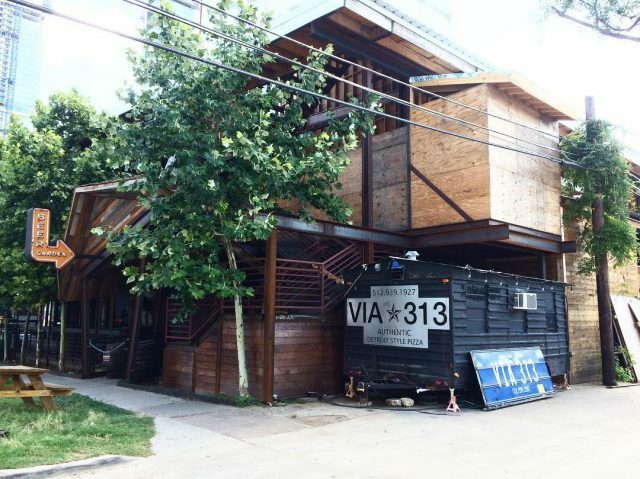 Via 313’s second trailer landed on Rainey Street in 2013 and hasn’t moved since. You’ll find it in the backyard of Craft Pride, so visitors can get the perfect combination of beer and pizza. This location also serves brunch on Sundays from noon to 3 p.m. Note: the Rainey Street trailer has limited hours from Monday through Friday, not opening until 5 p.m. You can stop by on weekends starting at noon to get your pizza fix. 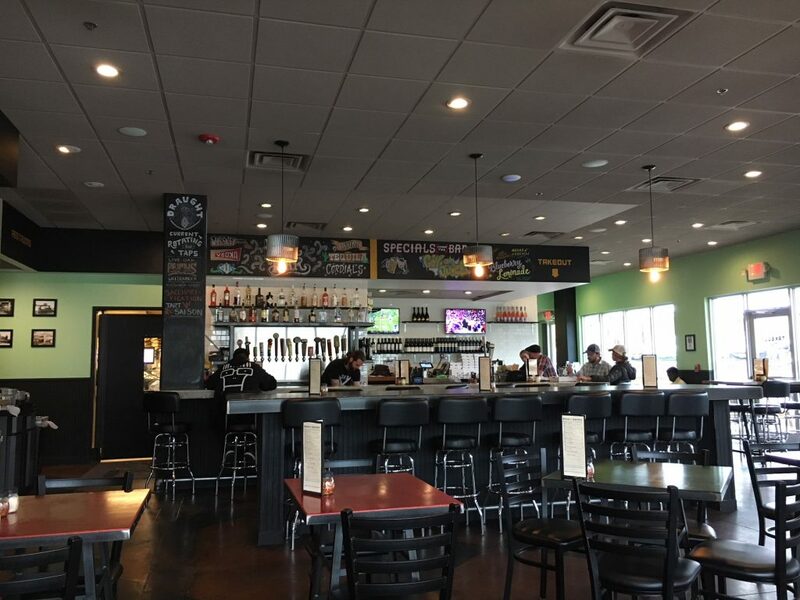 Via 313 made its move into the brick and mortar scene in April 2015, with its location in Oak Hill. This was also the first location that opened up for lunch during the week, which is how I nurtured my personal pizza obsession in Austin. 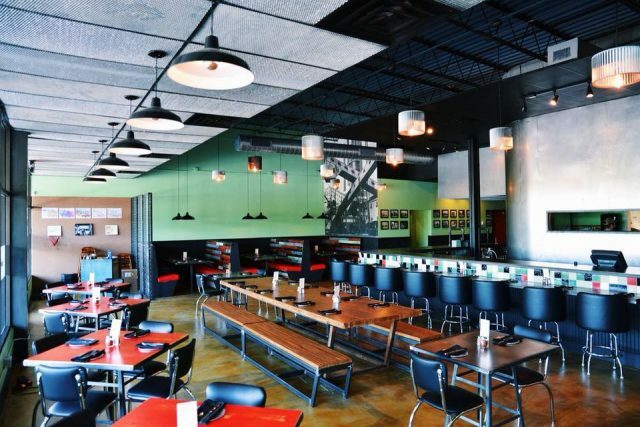 With a communal table and bar seating, you have multiple options for your eating experience. Detroit-style fans can order online, but you’ll need to stop by the store for pick-up. The second brick and mortar location opened March 2016 in North Campus, replacing what was once Blackbird and Henry. Not far from campus, it’s the perfect place for University of Texas students to grab some delicious pizza to get them through their studies. Via 313 fans can place orders online, but–like Oak Hill–you’ll need to visit the store to grab you order (no delivery). 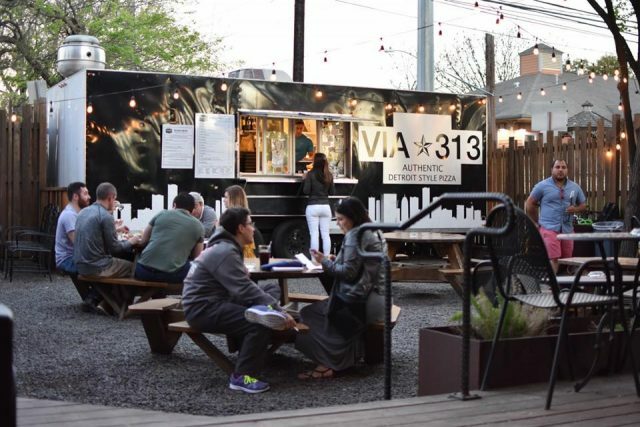 Via 313 opened its third brick and mortar in March 2018, located not far from where the original trailer used to sit on East Sixth Street. In addition to serving the same menu as the other restaurant locations, this spot also has a full bar. Expect a nice patio with picnic tables. Plus, there’s a misting system to keep you cool in the Texas heat. They thought of everything! You can order online for this location, but will need to stop by the store for pickup. The original trailer was relocated when the East Side restaurant opened. It eventually landed on West Sixth Street at Buford’s Backyard Beer Garden. This venue has indoor and outdoor seating, along with several bars where you can order a beer to wash down your pie. If you want to eat at this location, make sure you save your visit for Wednesday through Sunday. Via 313 opens at 5 p.m. on those days. You can order online ahead of time and stop by the trailer to pick up your pizza. 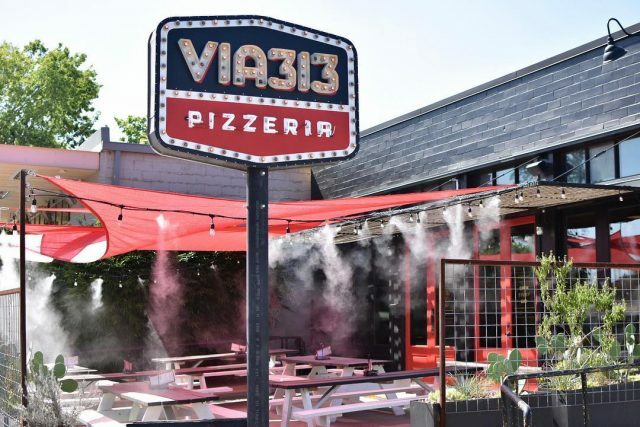 Have you been to any of Via 313’s locations to try its Detroit-style pizza?